Maybe I’m cliche, but I find the idea of an old fashioned, steam-powered train incredibly romantic! 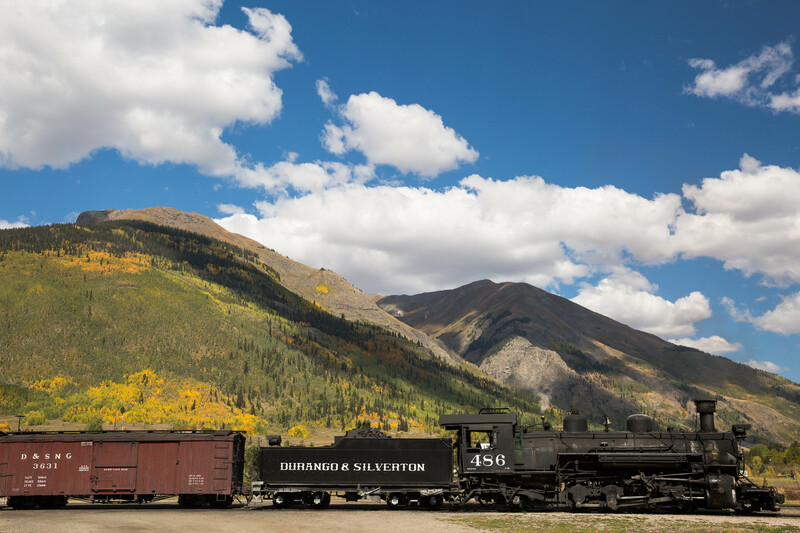 The Silverton Railroad is iconic for backpackers who are looking to visit Chicago Basin in hopes of summiting the classic trio of 14ers: Sunlight, Eolus and Windom. 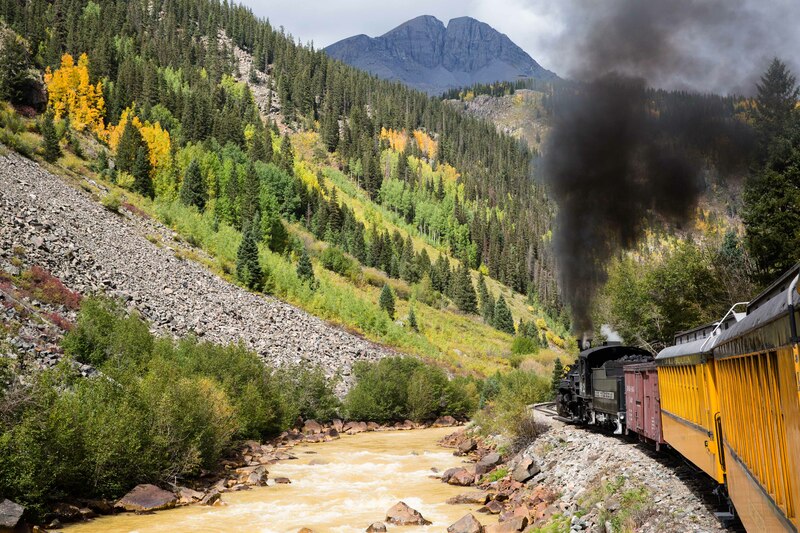 Rather than spend a full day packing into the basin, hikers tend to opt for the classic train that travels along the Animas River before dropping passengers at the Needleton stop. From here, it’s only ~6 miles to Chicago Basin. Hiking aside, I can’t imagine a more classic backdrop for Valentine’s Day! The views from the train are stunning and the special “Romance on the Rails” package includes chocolate covered strawberries, brunch, live music and optional champagne toasts. Yes please! Imagine snow gently falling around you as you soak in a 104-degree mineral hot spring in the middle of the forest. Sounds idyllic, right?! Strawberry Park Hot Springs in Steamboat Springs are my absolute favorite natural springs in Colorado. Located away from town off a sometimes-brutal dirt road, Strawberry Park features more than just a hot soak. Camping, rustic cabins and a classic train caboose or covered wagon are available for lodging, and massages are an option upon request. Snag the caboose for an evening, book a couples’ massage and soak in the hot water until midnight. Sounds like Valentine’s paradise to me! Side note: clothing is optional after dark which can either spice things up or completely deter you, depending on your preference! With a name like Loveland, how could this resort NOT be a perennial favorite on February 14? Loveland Ski Area is one of the smaller mountains in Colorado, but it’s also known as a local favorite. 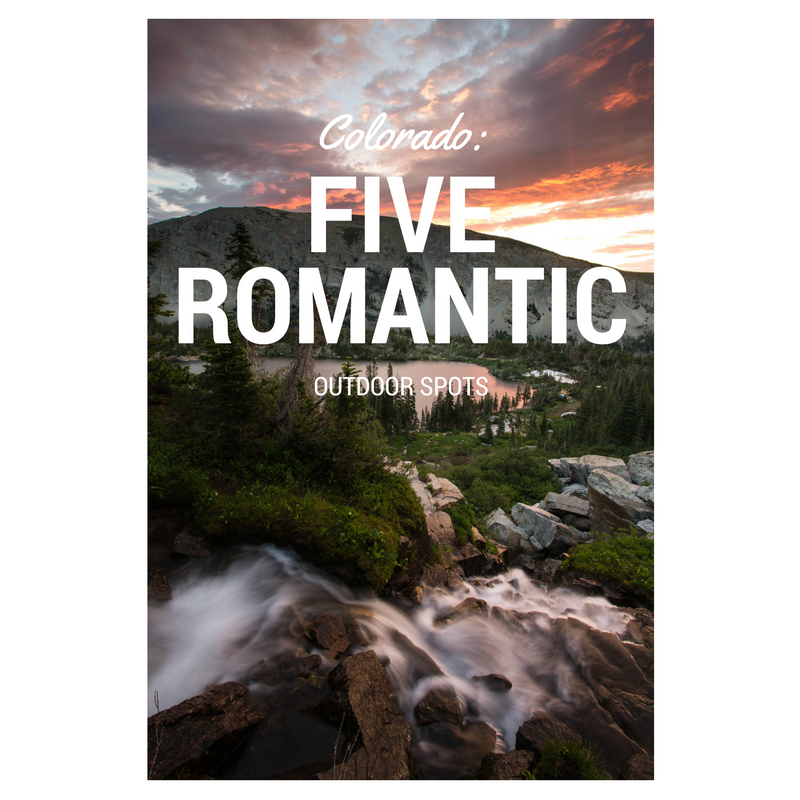 With steep skiing and tough terrain, Loveland is not for the faint of heart, unless it’s your sweetheart that is making you feel weak in the knees! If you’re feeling extra lovey-dovey and want to add a little sass to your Valentine extravaganza, take a look at Loveland’s special “Marry Me and Ski Free” deal. Celebrating its 24th year, couples can marry or renew their vows at the Ptarmigan Roost Cabin at the top of Chair #2. It’s a mass ceremony, so definitely not the most private affair, but the views are literally breathtaking: Ptarmigan Roost Cabin is located at 12,050 feet. Side note: participants are required to be able to ski down the mountain under their own esteem. Don’t get hitched at Ptarmigan and expect to ride the lift down because ski patrol is NOT going to be happy with you! I’d be remiss if I didn’t include one of my all-time favorite Colorado activities: a backcountry hut trip! Colorado is famous for its backcountry hut system. 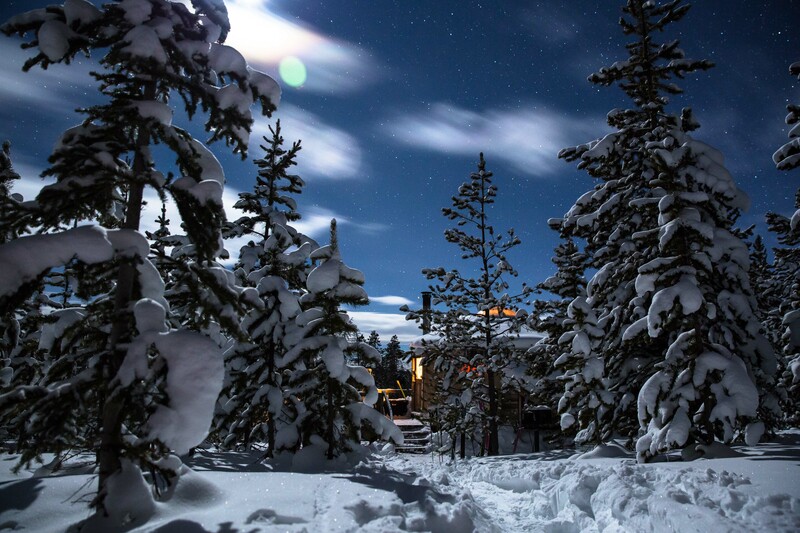 We have the 10th Mountain Division Huts, the San Juan Hut System and the Never Summer Yurt system, just to name a few! And honestly, I can’t imagine anything more romantic than a hut trip. You can spend your days skiing or snowshoeing through the snowy forest only to arrive at a cozy cabin, complete with wine, cuddling and a roaring fire. My personal preference? Check out Ken’s Cabin, one of the backcountry huts in the Summit Huts. It only sleeps three people, so you and your sweetheart can book the entire cabin for privacy. Guys, we’re talking about a rock formation that resembles a kissing couple. Could it be any more romantic?! Located in the Colorado National Monument outside of Grand Junction on the Western Slope, hikers will enjoy the Monument Trail. Depending on which legs you tackle, you’re looking at anywhere from 7-12 miles in total distance. If you’re hoping to check out Kissing Couple, a pair of spiraling rock pinnacles that kinda lean towards each other, you’ll be looking at just over 5 miles roundtrip. Don’t forget to pack a picnic!